"Bacteria that live on the fruitfly Drosophila melanogaster can affect their host's choice of mate by altering the fly's pheromones, a new study suggests. [...] [This] suggests that natural selection, which drives evolution, acts on a host and its symbiotic partners as a single unit rather than on each species in isolation." News story @ Nature News. 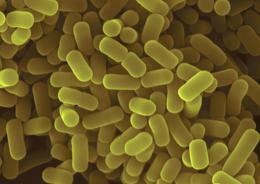 Lactobacillus plantarum may be speeding the speciation of their hosts.